Homes in Ibiza really don't come much more beautiful than this one, both in terms of style and setting. Located close to Cala Salada, with it's wonderful beaches, this typical farmhouse has been lovingly restored to create an authentic environment with all the facilities and comforts required for modern living. 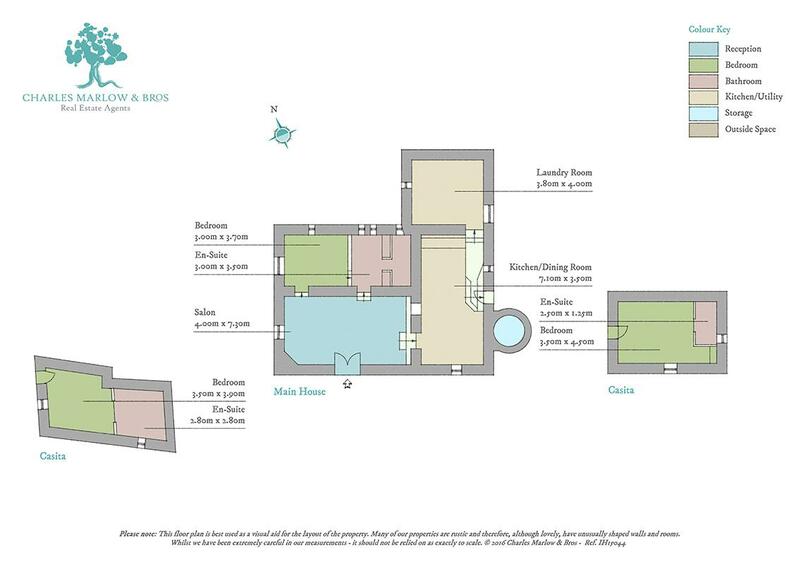 The house consists of three double bedrooms, all with en-suite, living room, kitchen and dining room. In the grounds you will be relaxing amongst carob, olive, fig, lemon and orange trees. Bliss! And we must mention the incredible sea views. Seeing the famous Ibiza sunset every day as it sinks into the sea, you will be the envy of the whole island!